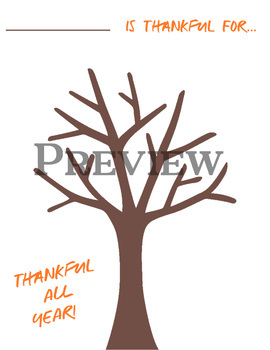 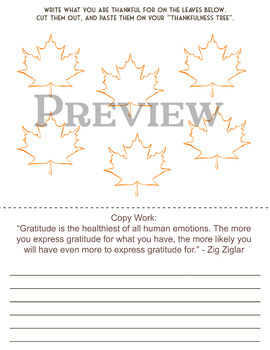 Each student will get 6 leaves to write what they are thankful for on, cut out, and glue to their Thankfulness Tree. 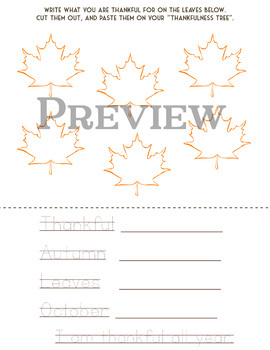 Younger students can then trace related words and then write them on their own. 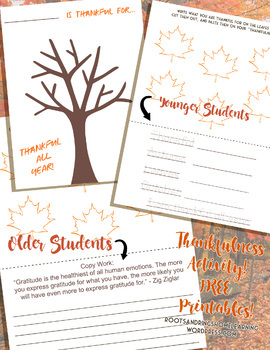 Older students have a copywork passage about gratitude.